Do you have a special hobby? Are you an investigator or explorer? Can you dance or swim? Do you love the environment or being outdoors? Maybe you are secretly a technology whizz or stargazer? Or really good at first aid and fire safety? 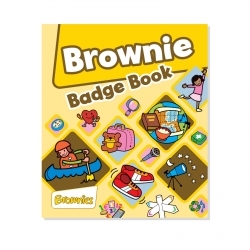 Whatever your interest, Brownies has a fun badge for you! And in your Brownie Badge Book you will find everything you need to know about badges to do.